Multiple bills circulating through Congress indicate lawmakers are interested in allowing Americans to import prescription drugs from Canada and other nations, even though that proposal has been strongly criticized by leading members of the law enforcement community. Sens. John McCain (R., Ariz.) and Amy Klobuchar (D., Minn.) floated an amendment to the Senate budget bill Wednesday that would allow bills "relating to lowering the cost of prescription drugs in the United States by importing drugs from Canada." McCain and Klobuchar are coauthors of the "Safe and Affordable Drugs from Canada Act," which would allow Americans to buy prescription drugs from Canadian pharmacies, with some restrictions. Meanwhile, on Tuesday, Sen. Elizabeth Warren (D., Mass.) talked up a similar bill from Sen. Bernie Sanders (I., Vt.) in a meeting of the Senate Health, Education, Labor, and Pensions Committee. "If the restrictions that prevent purchasers from importing drugs at lower prices from places like Canada were removed. … We'd see some competition and that would lower prices," Warren said. Sanders' bill, the "Affordable and Safe Prescription Drug Importation Act," would allow wholesalers, pharmacies, and individuals to buy prescription drugs manufactured at "FDA-inspected facilities" from licensed Canadian sellers. After two years, that permission would be expanded to some countries in the OECD that meet certain regulatory standards. Law enforcement leaders have expressed concerns about opening importation of prescription drugs from other countries, arguing it would become easier for drug traffickers, freed from the stringent oversight of the DEA and FDA, to move drugs across the border and directly into the hands of Americans. The National Sheriff's Association issued a resolution formally opposing such bills in July. They noted a 2016 DEA report that warned of the possibility of counterfeit prescription drugs, containing the deadly opioid fentanyl, leading to a spike in opioid-related deaths. "Drug importation would…worsen the opioid crisis, open up the U.S. pharmaceutical supply chain to adulterated and counterfeit drugs, further burden law enforcement, and endanger the safety of officers and other first responders," the resolution read. A report from former FBI Director Louis Freeh concurred with the Sheriffs' analysis, finding an "overwhelming consensus" among law and drug enforcement officials that allowing the importation of drugs from Canada would "result in increased flow of potentially illegitimate pharmaceutical products entering the U.S. drug supply undetected due to the inability to sufficiently inspect the volume entering the United States." This would, in turn, lead to a worsening of the opioid crisis in America. Preliminary CDC data showed some 64,000 drug overdoses in 2016, with 20,000 attributable to the opioid fentanyl and another combined 29,000 attributable to heroin and prescription opioids combined. Derek Arnson, who spent 25 years as an officer in Arizona, eventually rising to Chief of Police of Nogales, Ariz., voiced his concerns in an interview with the Washington Free Beacon. "There's always going to be those that say, ‘I have a need for a painkiller, I have a need for these types of drugs,' and I certainly have a big heart for people who have certain conditions where they need these things. The problem that I'm going to have is, how do we identify where it's coming in? How do we identify who has it?" Arnson said. Arnson worries about the volume of drugs coming into the United States which, lacking stringent oversight, could lead to tragedy. Also historically concerned about drug importation from Canada is the Food and Drug Administration. 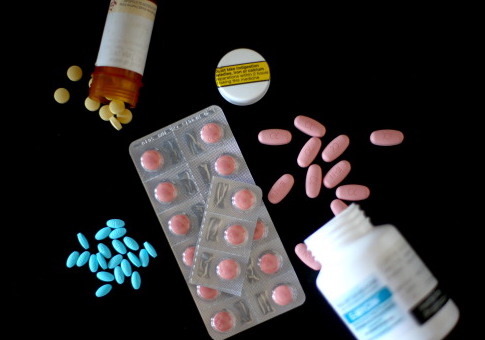 In a 2003 hearing on safety in Canadian drug importation, FDA leaders made clear that their ability to guarantee that foreign distributors met American standards of safety and purity was limited, and noted that foreign pharmacies may dispense "expired, subpotent, contaminated or counterfeit product, the wrong or a contraindicated product, an incorrect dose, or medication unaccompanied by adequate directions for use." "As we have said in the past, FDA cannot ensure the safety of drugs purchased from foreign sources," one FDA representative said at the time. The transfer of illegal drugs across the Canadian border was thrown into stark relief Tuesday when Deputy Attorney General Rod Rosenstein announced the indictment of two Chinese fentanyl producers, at least one of whom trafficked fentanyl through Canada. The investigation revealed a "new and disturbing facet of the opioid crisis in America," the direct sale of fentanyl and other opioids directly to American consumers using the internet, and their subsequent smuggling across the northern border. The increased flow of drugs across the border will put a serious burden on already overtaxed law enforcement officers, Arnson said. "The problem from law enforcement is, our hands are already pretty full with the limited resources that we have and the continued, increased calls for service that we receive each day and each year. It's more weight on local law enforcement, and that's difficult," he said. "[These bills are] going to pretty much kill and decimate the ability for law enforcement to really focus on other things, because now we're going to be dealing with additional calls, and the unknown," he said. This entry was posted in Issues and tagged Drugs, Health Care, Opioids, Police. Bookmark the permalink.